During National Careers Week, students from Years 7 to 13 were provided with information on how their subject studies relate to their future career choices. The delivery of the sessions, during the start of lessons, helped students understand how subjects they study have relevance to the world of work, offering clarity on which skills they gain from each subject and how these transfer to a wide range of careers. As part of the focus on careers, a group of Year 9 and 10 students attended the University of Essex, Colchester Campus. The purpose of the visit was to raise aspirations and show students the opportunities available to them in the future. 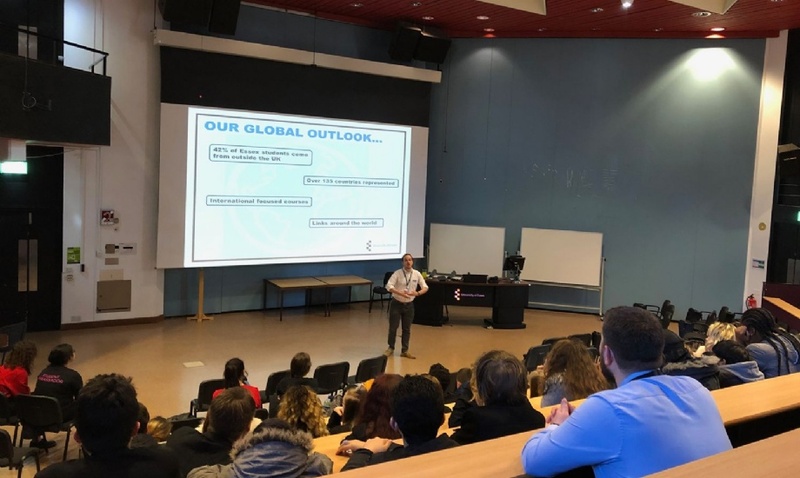 Students were given the opportunity to tour the impressive campus and accommodation facilities, experience a lecture from a PhD tutor and pose questions to students about university life.